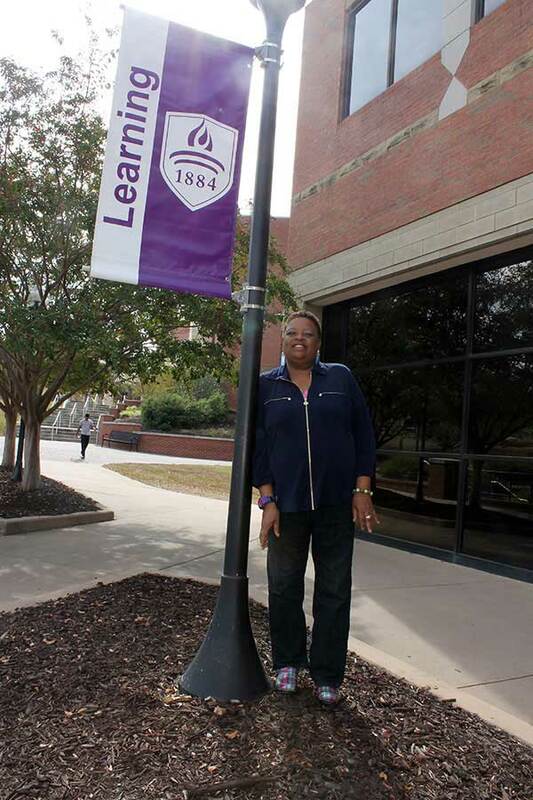 Locally renowned restaurant owner and chef Alfreda Lockett has returned to MGA four decades after first pursuing a college degree so she could complete a bachelor's and serve as a role model for her grandchildren. Full Name: Alfreda T. Lockett. Family: Husband – R. Lockett Sr.; Son – R. Lockett Jr.; Daughters – Georginna and Daphne; eight grandchildren. Employment: MeMaw’s At LG’s Restaurant. and also for my own personal growth. My message is that it is never too late and that if you seize life you can elevate your life and help others in the process. My specific career goals include expanding our restaurant business, produce a cook book and oversee group cooking classes." She chose Middle Georgia State University because … "It allowed me to have access to a quality learning system in my hometown." Her greatest academic experience so far as a Middle Georgia State student has been ... "Being able to share my lifelong existential learning experiences with my millennial classmates." responsibilities. The professors take these things into account." appreciation and care for family."